While Congress is trying to decide on immigration reform, I’ve been through the excruciating, year-and-a-half-long process of getting a long-term US visa. I wasn’t looking to work for an American company. I was looking to build a company and create jobs on American soil. After trials, tribulations and a couple rejections, here I am, finally staring at a shiny sticker inside my worn-out Belarusian passport. As many will tell you, immigrating to the US is really tough. 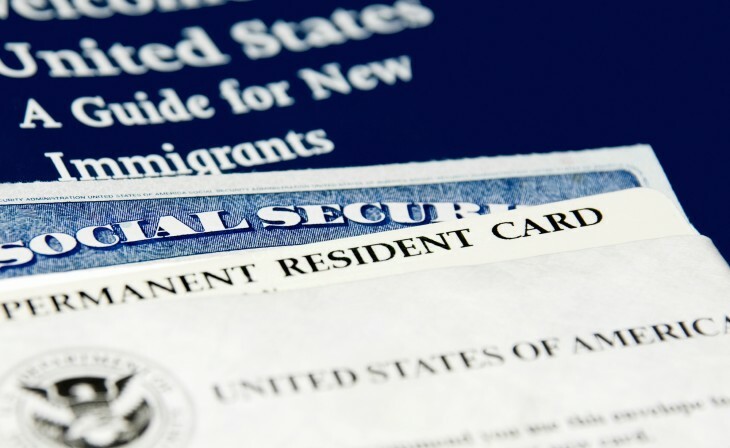 The best way to start your own process is by having a consultation with an immigration attorney. I worked with two different law firms and learned the hard way that choosing the right immigration attorney is extremely important. I hope my experience can help moving your startup to the US. *Since I’m a software engineer turned entrepreneur, not a lawyer, nothing in this post should be considered as legal advice. Choosing blindly might result in you working with mediocre or terrible immigration attorneys. Some might be handling too many cases at the same time, thus making them unable to dedicate enough time for each client. Some don’t have enough experience in certain areas of immigration law. Some are just trying to charge the heck of their clients. I’ve heard all kinds of horror stories and I had some bad experiences myself. Founders of technology startups should only work with the best attorneys. Time is precious. A few thousand dollars in savings are not worth months wasted because your visa petition was rejected. First of all, use your own network and try to find other founders who dealt with attorneys and obtained a long-term visa. The old fashion advice remains true: Word-of-mouth advertisement is powerful. Can’t find those? Grow your network by flying to US for a few months on a standard B1/B2 visa. Attend events, network, invite other entrepreneurs for a coffee. FWD.us hosts some really good meetups that gather many international entrepreneurs. Once you get a referral (or two) to a good attorney, have initial consultation. During the consultation, a good attorney will suggest visa options you should consider. At the end, ask for references. A lawyer’s business is built on trust. A good immigration attorney should have no problem introducing you to a couple of his or her former happy clients. Immigration attorneys, just like any other attorneys, charge for their time. However, some attorneys have fixed set of fees for standard procedures, such as preparing and filing your case, and responding to requests for evidence. I found this option to be most appealing. If they’re experienced in your type of case, they should be able to estimate how much time it is going to take so you are prepared to invest, in time and in money. Usually lawyers are very conservative when it comes to adopting new technologies. For security reasons, they stay away from cloud file storages. However, dealing with mail and paper-based documents is the last thing you want to do. This length process will require you to submit a bunch of documents and sign many forms. Make it clear with your lawyer that you want to sign documents electronically, use cloud storage and a project management system to handle your case. I insisted we use our homegrown PandaDoc, Google Drive and Asana. Asana was particularly helpful – attorney handling my case assigned tasks when he needed me helping with research on my case. Thanks to using online ticketing software, I was able to be 100 percent sure I wasn’t holding up the process myself. For many founders, language can be the barrier. Find a lawyer that reads and speaks your language fluently – after all, an immigration process involves a lot of legalese and research. I was lucky to find a good Russian-American immigration attorney based in San Francisco. There were dozens of articles that needed to be translated from Russian to English, and even though I have a high English level, negotiations and legal nuances were made easier in a common tongue. Your visa is the first step to building a business in US. It is also the first, but, more likely, not the last time you’re dealing with USCIS office. If all goes well, more than likely you’ll have to move other co-founders or team members to the states. Furthermore, you may want to get a green card. This is why it is important that you build a good relationship with your attorney. You need to be comfortable with her work style and you absolutely need to build trust. I hope these tips help you on your way to moving your startup the to states. If you have other tips or experiences you’d like to share, please discuss in the comments below!